used at an early stage can head off a lot of problems. Properly assessing your prospects and advancing the best available arguments are vital to a successful appeal. 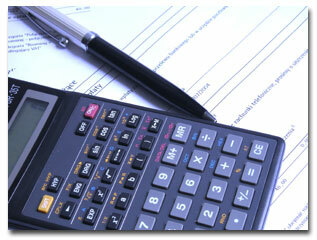 The auditor will almost certainly resolve gray issues in favor of the government thereby increasing your liability. Even so, effective representation during the audit or early in the appeal process often can overcome the auditor's determination. After discussing your business operations and objectives, and reviewing your tax returns and other financial records, we will prepare a report recommending ways of minimizing your state tax burden in the future. We will prepare a pre-audit statement identifying potential exposure to additional assessment by a state tax department, correcting any errors early and avoiding exorbitant interest rates. In addition, we will formulate arguments dealing with pertinent gray areas in the law. We can compute and file all state tax returns as they become due or develop systems and procedures to assist your in-house personnel to maintain and keep up with these responsibilities. Our involvement can be as extensive of minimal as required. We will conduct an extensive review of your operations, tax returns filed, work papers and records to determine whether you have overpaid your state tax.